If I Get Veneers How Will I Brush My Real Teeth? When you decide to get dental veneers it can be quite confusing whether or not you will be able to maintain a healthy oral hygiene program on your natural teeth. Getting veneers should be seen as a process where you are effectively getting another protective surface (similar to the enamel you already have on teeth) bonded to the outsides of your teeth. 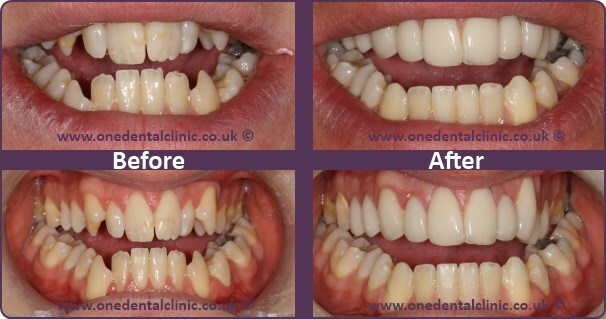 We make our veneers so they are a perfect match for our patients teeth. Poorly made and fitted veneers could leave gaps for food particles to get underneath the veneer, which could potentially cause decay. Even though veneers are not your natural teeth, they will still require you to treat them as if they were real teeth by continuing a healthy daily oral hygiene routine of brushing twice a day and flossing. By not brushing and flossing you will be increasing the likelihood of potential problems such as: decay, plaque, cavities, and even gum disease if it gets out of control! If you are unsure about what the best treatment would be for you we offer free consultations with our friendly dentists who will get to know you as an individual and will take an interest in your smile goals. Dentistry has evolved so much over the past few years that there are many different suitable options available to you! Please fill out the short form below if you would like any more information or to request a free consultation.